The youngest dog had taken advantage of my absence, somehow managed to get up on the table, and pilfered my crocheting! She had run up and down the hall about four or five times, unraveling and unrolling yarn as she went, and then chewed through a few outside rows of my hat! 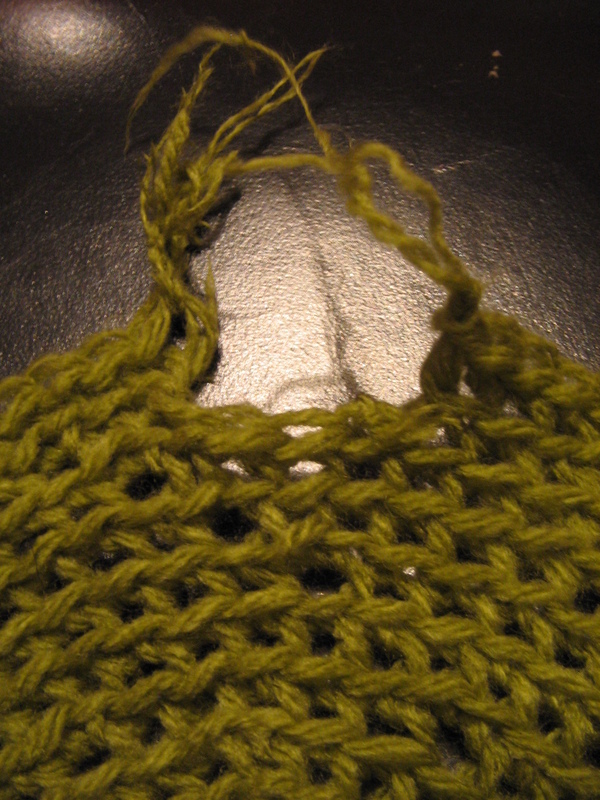 One Response to "The Dog Ate My Crochet… No, Really, She Did"